Individually addressable RGB LEDs for your Arduino projects. Compatible with Adafruit NeoPixels. 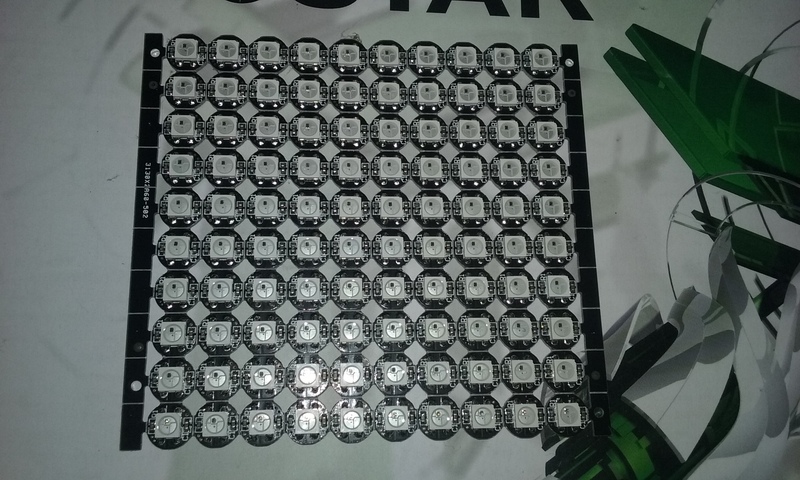 100x WS2812B WS2811 5050 RGB LED & PCB Board 1-LED Module Digital Pixel Light 5V.The individual LED modules are snapped away from the PCB and wires are soldered to the back side on the labelled solder pads. 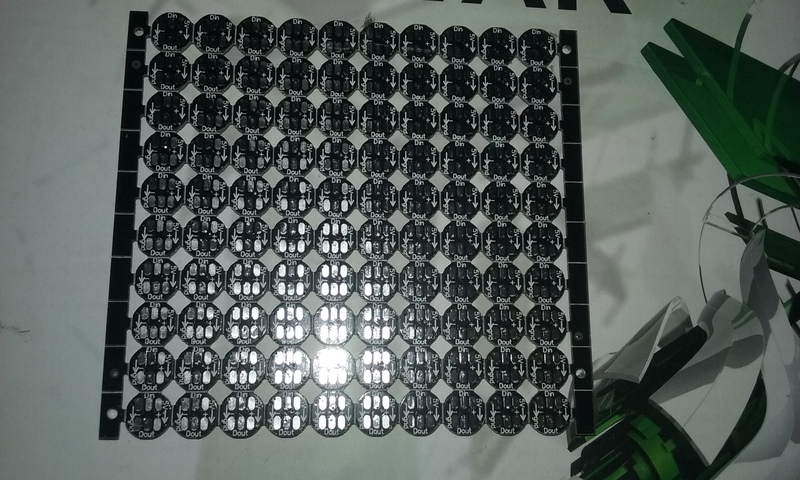 A series of these LEDs can be soldered together, and individually controlled using a microcontroller such as an Arduino. 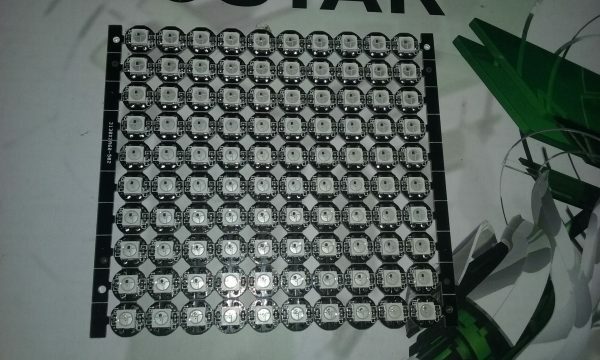 Equivalent and compatible with Adafruit NeoPixels, a name brand of these same LED modules. Not compatible with Adafruit DotStars.